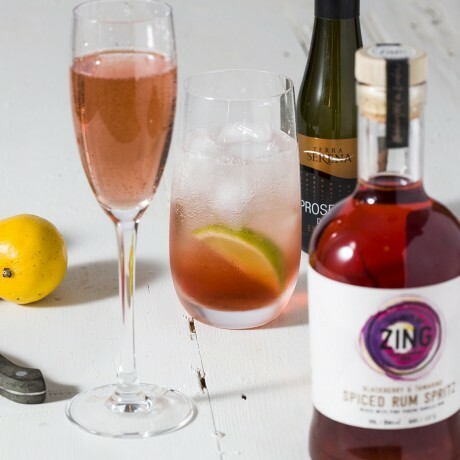 For Prosecco fans after a unique twist, give Spirit of Zing's delicious Blackberry & Tamarind Spritz a try! 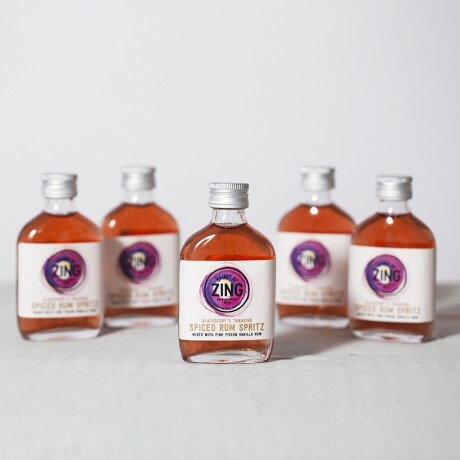 Product Contents: 5x50ml Single Serve Bottles of Blackberry & Tamarind Spiced Rum Punch - ideal as small gifts, stocking fillers or wedding favours! Blackberries, tamarind & vanilla combine to provide rich tangy flavours that are ideal for lovers of Bellini style cocktails. Rested before bottling to allow a perfect marriage of flavours. Pink Pigeon Vanilla Spiced Rum; Blackberry, Tamarind & Natural Citric Liqueur; Chamomile & Honey Water. Simply pour into an ice filled glass, top with 50ml Soda or Prosecco & garnish with a lime wedge for a delicious spritz. 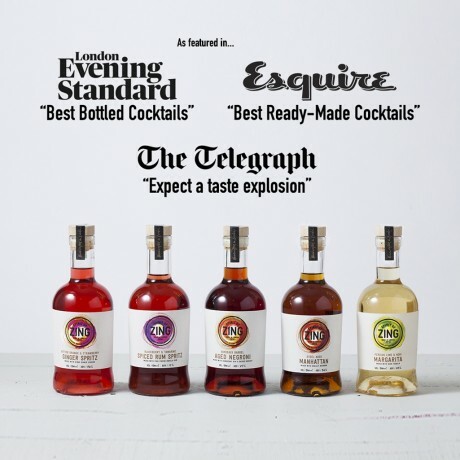 For a selection of five different cocktails, please choose our Mini Cocktail Collection. 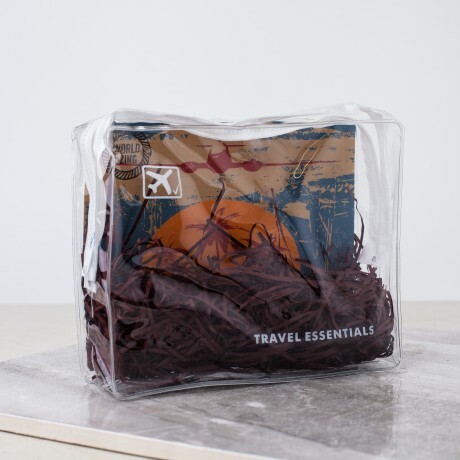 A handmade blend of Pink Pigeon Vanilla Spiced Rum, World of Zing’s Handmade Blackberry and Tamarind Liqueur, Chamomile Water, Honey, Natural Malic Acid Solution (derived from Apples).